I bet anyone reading this post has heard the word gratitude or some version of the word, numerous times. It seems to be popping up everywhere. Google “gratitude” and one can find nearly any perspective on the idea of what is gratitude, why be grateful, and myriad ways of expressing gratitude. Here’s a real confession. I haven’t always been comfortable with the word “gratitude,” and this is why. Every Sunday as a child, I would snuggle up to my mother and listen intently to our Priest’s sermons on gratitude as an expression of submissive action. Not humility, mind you, but submission. For me, I was never comfortable with this perspective. I’ve taken a close look at what gratitude means and who uses the concept of expressing gratitude. Is “gratitude” a word that has evolved or can be evolved? I think the answer is “yes.” I have watched the word gratitude expand from encouraging conformity and submission to using it widely as an expression of happiness and contentment. 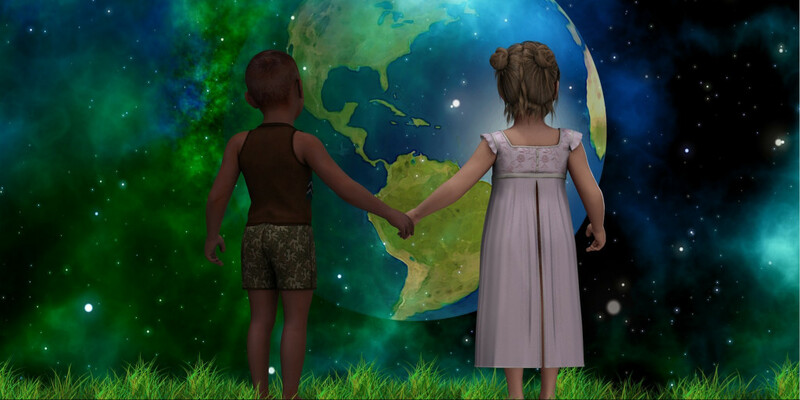 I’ve heard it used to acknowledge all that is good OR bad in the world and be grateful for the opportunity to use both to grow humanity in a meaningful way, and finally, to build peace and harmony. Every morning when I first awaken I express gratitude for another opportunity to greet the day and be safe and secure in my home. I move through my day expressing gratitude for water as I drink it and the betterment it will provide for my body. I express gratitude for things and situations I don’t have before I have them. Offering up gratitude before we have received is an appropriate, loving, selfish act. Expression of gratitude is a form of prayer. Expressing gratitude before we receive acknowledges all that is seen and unseen. Expression of gratitude makes our whole being feel happy. Gratitude is an insurance policy. Have you ever wished for and expressed gratitude for safe travels before beginning a journey? Gratitude makes us a better person. Why? Because it causes us to be aware of our surroundings. When gratitude makes us happy we up our ability to be healthy. Our happiness in turn positively impacts all living beings and nature – whether we see the effect, or not. Expressing gratitude helps balance our chakras. I believe showing gratitude is a loving and generous act. Who doesn’t appreciate being appreciated?! So while studies indicate expressing gratitude makes us happy, I like to think we make God, Jesus, Mother Mary, all of the angels around us and even the spirit of those who have moved into another space, just as happy. Expressing gratitude, whether it’s to another human being, a plant or animal, or the Universe, is a selfish AND selfless act for us all. To remember to be grateful and express gratitude is a challenge worth taking. Upon arising from rest, express gratitude. Make time to hold the intention. It will wake up the whole day. Be grateful for trauma. There are lessons within every traumatic, unhappy moment. It’s probably the hardest thing for which to be grateful. It changes perspective, however, and opens our path to explore other opportunities, relationships, situations. During these times write down for what you can be grateful. It can be just one thing. By doing so, we are committing to all that have provided that moment of gratitude and shown appreciation. 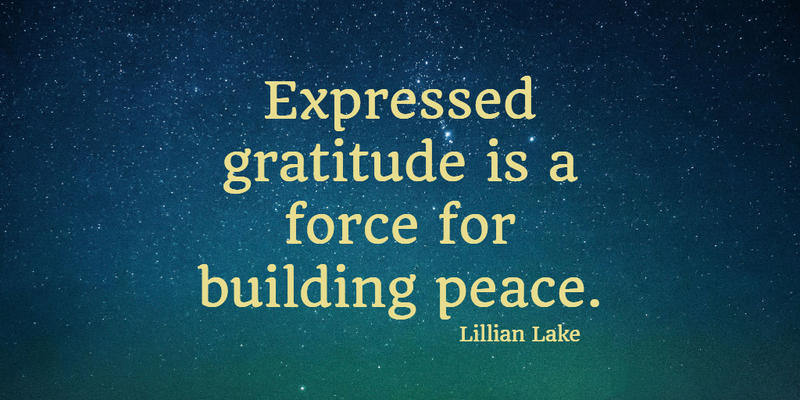 Instead of expressing criticism – express gratitude for the effort made, taking note of other characteristics for which to be grateful, as an act to build healthier relationships. Be grateful for forgiveness, whether giving or receiving. Be grateful for what we have and don’t have in that we are trusting our needs were met. What are YOUR thoughts on gratitude? Do you feel a change when you express gratitude? Please share in the comments for us all to benefit. Thank you.